LARRY GOT HIS WHEELCHAIR VAN ! ! ! 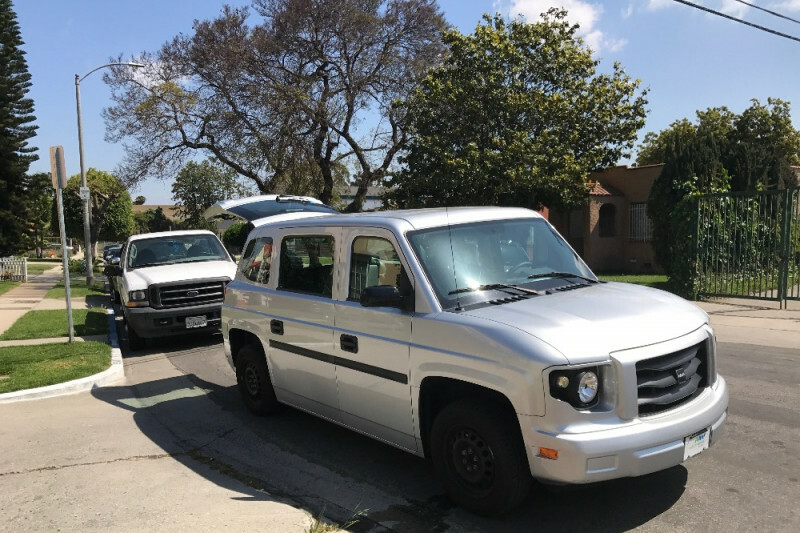 NOW LARRY NEEDS YOUR HELP TO KEEP HIS VAN RUNNING! Please consider an occasional gift, no matter how small, to help Larry fuel, insure, and maintain his van. Thanks to all of YOU, his wonderful friends, Larry now has his very own van to transport anywhere he wants to go at any time he wants to go! Larry had many, many donations come in for his van. Some were large, but most were small gifts. However, many small gifts have added up to one huge change for good in Larry’s life. Now Larry must maintain his van, pay for gasoline, oil, and insurance. While this fantastic new van has been added to Larry’s life, he still must take care of himself and his new van . . . on the same fixed income he had before he took on the expense of the van. Larry’s life has dramatically changed for the better now that he has the freedom of mobility that his van offers him. KEEP LARRY’S WHEELS TURNING! Please make a donation when you can to help Larry maintain his van and his new found freedom. Larry Dunn is a quadriplegic who needs a wheelchair van. Larry has been in a wheelchair totally paralyzed from the neck down for some 22 years. Despite his incredible physical challenges, Larry has built a new life of service to others. For many years after his injury, Larry was bitter and withdrawn. Finally, he decided the best way to help himself was by helping others. Today, Larry is a mentor and counselor to people who recently have been paralyzed. He does this through a program called "Know Barriers," a service out of Rancho Los Amigos, an internationally known spinal injury facility in Downey, CA, just south of Los Angeles where Larry lives. But Larry needs a wheelchair van to keep up his work of service to others and to expand it. Larry's activities are so many, that he cannot rely on transportation provided by volunteer services. Those services come within a three hour window for pickup and a three hour window for the return pickup making more than one appointment per day impossible. Several hours a day can be used up waiting for the volunteer van. Larry currently uses public transportation although he is confined to a wheelchair that he operates with a joy stick operated by his chin. He is unable to ride in a vehicle unless it can load Larry while he's still in his wheelchair. Only a customized wheelchair van can accomodate him. Larry has joined "Toastmasters International" to improve his speaking skills so that he can better present his story and his work to larger groups such as schools and houses of worship. Having a van that can transport him in his wheelchair will make a better life for Larry who is making life better for others! A dependable van is everything. Best of luck to getting one. Let's get you on the road in your own ride, man.